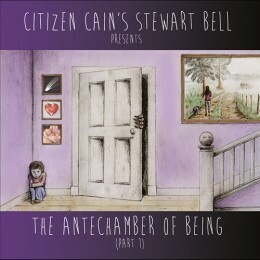 The first of the Citizen Cain solo projects – The much anticipated debut solo album from the band’s main composer and keys player Stewart Bell, is a prog rock opera featuring five vocalists; Simone Rossetti, Arjen Anthony Lucassen, Bekah Mhairi Comrie, Phil Allen and Stewart himself. The album is available to order here (there are also promo videos linked from the product page). A 28 page storybook telling the story of “The Cupboard Of Fear”, from the first song on the album, is also available. Click here for more info. A limited offer is available when you order CD and storybook together. Click here for more info on this offer.